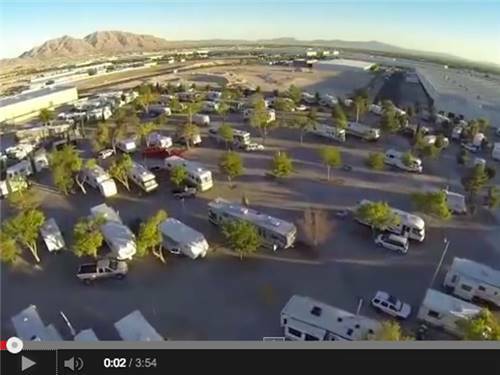 FRIENDLIEST RV PARK IN LAS VEGAS! Highly rated, affordable & gated. Try your luck on our slots, relax in our heated pool, enjoy our Saloon open 24/7, dine in our restaurant & Beer Garden on property. Stop-Stay-Enjoy! Free WiFi, Cable TV & HBO. We have it all. As far as restrooms go, these were the nicest we came across in 30 days of traveling. The redwood stalls and walls were beautiful, and everything was clean and shiny. First campground that I've found that actually had a bathtub. The park is rather plain, but sites were level and easy to get into. And the closed gate to the park made me feel more secure for sure. Both of the staff we met were very pleasant and helpful. Friendly and helpful staff. Good internet. The sites are level and plenty wide enough. However the water has lots of air in it. I noticed that last year when we stayed there. Overall it was a good park and the rates are reasonable. Nice park but no grass and lots of jet fighters flying overhead. The jets were extremely loud, we could not hear the TV or telephone inside out rig with the door shut. Traffic on the freeway and streets to and from this location were horrible, over an hour extra travel time was involved. This place would have gotten a high rating, but they ruined our second day and could have solved the problem easily and didn't. My kids like to swim. We stayed an extra day because we liked the salt water pool, but when my kids went to a swim at 10:00am like the person at the office and the sign said, it was locked. When we asked at the office, we were told it was closed for cleaning until noon, but chwcknout is at 11:00am, which meant no swimming. No one was actually cleaning it, so we asked to swim and were told 'no.' We asked to have our check out extended two hours so the kids could swim after the cleaning was done , and were told 'no' despite many empty sites. So we stayed an extra day and paid for nothing except rude service. I sighed in the future that you do pool cleaning BEFORE the pool is supposed to be open, or be more reasonable with customers. Bad service ruined our stay! 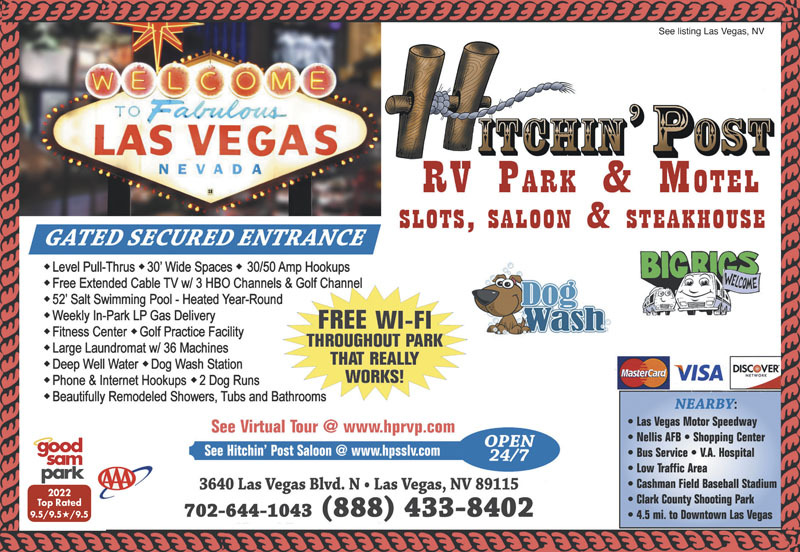 We stayed at Hitchin' Post RV Park for a week while we visited friends and enjoyed Las Vegas. The sites are plenty big enough, the bathrooms are clean and the park is very secure. During our visit we especially enjoyed the restaurant. The outdoor area was so pleasant and the food was exceptionally good and a very good value. Recently spent 4 days here while in town for a Volleyball Tournament. Staff was friendly, the park was a bit dirty, the spaces are gravel and very narrow. Our slide out extended over our neighbors picnic table and on the door side there was a tree so we couldn't use our awning. the roads are sort of paved. The dog parks were horribly small, two of the 5 were locked so we could only use three, 1 of which was too small for our two big dogs. Which was odd in that the majority of residents had bigger dogs. Still and all, the price was right and the restaurant / bar were good. We would stay here again in a pinch for an overnight stay only. Staff was very friendly and helpful, especially when I was away from my camper and the inline water filter burst. They turned off the water and called to notify me of the issue. Restrooms were clean. I noticed 1 shower that had a missing shower head, but other than that, the showers were good. Laundry facilities were clean. Don't count on the WiFi being of much use. The area of town is questionable but access to the park is gate controlled. The Air Force Thunderbirds (jets) practice almost day and night, but count on a lot of noise from nearby Nellis Air Force Base. Overall, good facility and nice staff. I truly enjoyed our stay here, first time at an actual rv park and found it to be very community like. Laundry facilities are very clean. Dog Runs would be nice if all sections could be accessible. Staff extremely friendly and helpful. Location is very convenient. Would definitely recommend Hitchin Post. We work full-time on our RV and with NO Verizon signal at all and very spotty internet from the park it doesn't score very high for us. The location is a little iffy in N Las Vegas. Very clean and a nice overall park but with NO Verizon Signal at all (Space 168) and not the greatest park wifi (knocks me off all the time) I cant score it high. Good pricing and clean park and nice staff are really the only nice things I can say. This is our second stay at Hitchin' Post! Nice pull thru sites and amenities. The best part is the on-site restaurant. Great food all within walking distance from our site. 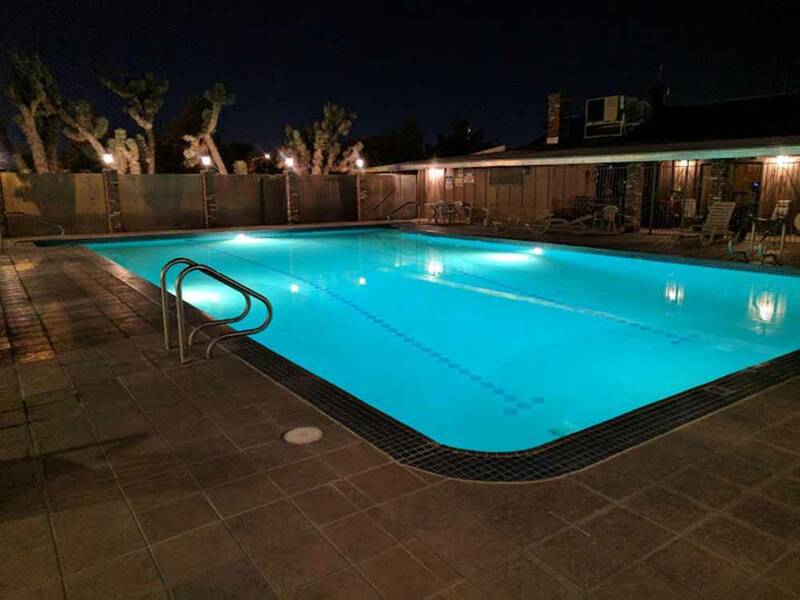 This is a great place to stay for the races at LVMS and also close to the fun in Vegas. Nice size pull through lots. Pet area was nice. Separate grass areas for pets to run free. Very good security. Stayed just one night but would stay again. it is an older park, but very well maintained. very clean restrooms and a large pool. we were there for a overnighter and was very pleased. the military jets flew in the morning and was very fun for our little guy. the restraint... well i would pass and not eat there at all. over all i would stay there for a pass threw again. Hike or mountain bike through Red Rock, enjoy a day trip to Hoover Dam & Lake Mead. Take in a NASCAR race or get behind the wheel yourself. See all the colors of the Valley of Fire, or view The Strip from 550 feet in the air.